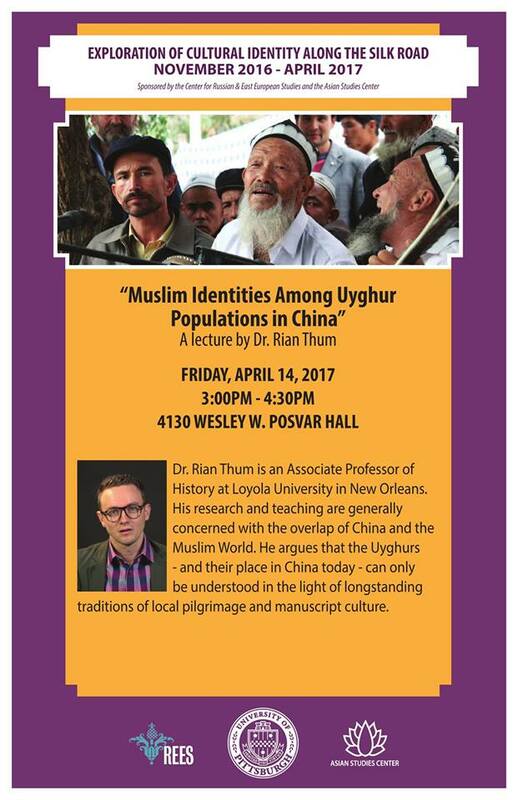 PennsylvAsia: "Muslim Identities Among Uyghur Populations in China" at Pitt, April 14. "Muslim Identities Among Uyghur Populations in China" at Pitt, April 14. The University of Pittsburgh's Center for Russian & East European Studies and Asian Studies Center will host Dr. Rian Thum of Loyola University and his talk "Muslim Identities Among Uyghur Populations in China". The talk runs from 3:00 to 4:30 pm in 4130 Posvar Hall (map) and is free and open to the public.